LONDON! 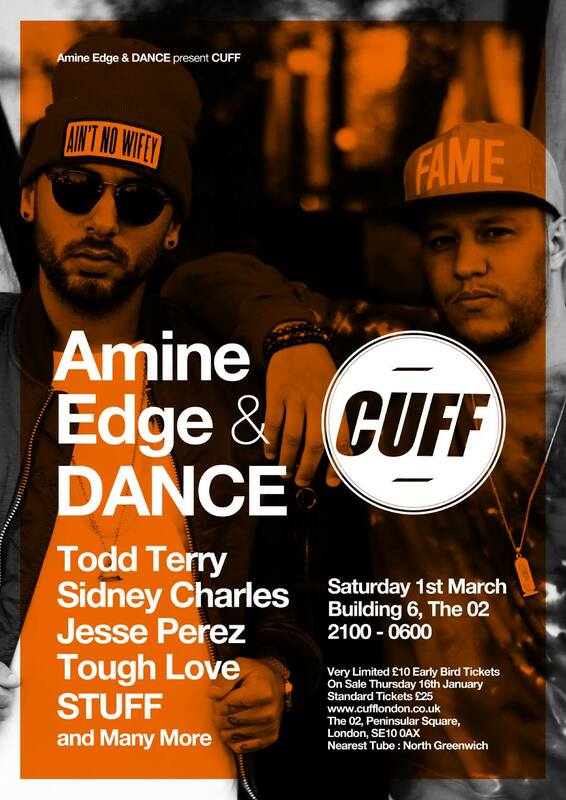 On Saturday 1st March Amine Edge & DANCE present CUFF! In attendance at the first ever London showcase ofCUFF will of course be label boss’ Amine Edge & DANCE joined by label mates Tough Love andSTUFF and if that wasn’t enough we’ve got three more HUGE acts on the bill, US legend TODD TERRY, one of 2013’s hottest DJs Sidney Charlesand Jesse Perez!